While I am banned from the country for the crime of noting — correctly — that Islam has doctrines of warfare against unbelievers, Britain has a steadily lengthening record of admitting jihad preachers without a moment of hesitation. Syed Muzaffar Shah Qadri’s preaching of hatred and jihad violence was so hardline that he was banned from preaching in Pakistan, but the UK Home Office welcomed him into Britain. 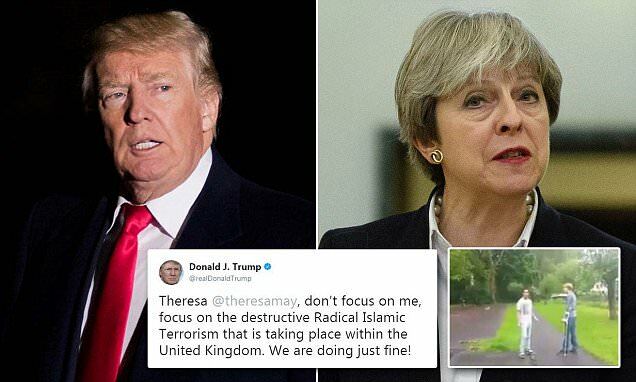 An Islamic State-inspired man from north London was “just days away” from launching a bomb and knife attack on 10 Downing Street, aiming to “take the head off” Theresa May.